View all ACTION ALERTS at www.usark.org/alerts. 4/7/19: New Herpetoculture Economic Study. Read it HERE. 4/4/49: Pennsylvania "Traveling Animal Act" ban. Read it HERE. 3/27/19: North Carolina SB357: Big cats, Bears, Great apes. Read it HERE. 3/26/19: ACTION ALERT: Nevada "Dangerous Wild Animal" Ban: Read it HERE. 3/19/19: Florida prohibited species update. Full details at www.myfwc.com/wildlifehabitats/nonnatives/rule-development. 3/13/19: NARBC, rattlesnake conservation, and ReptileFest. Read it HERE. 3/11/19: ACTION ALERT: STOP gassing in Texas (Good bill!). Read it HERE. 3/6/19: ACTION ALERT: Rattlesnakes Threatened in Alabama. Read it HERE. 2/25/19: ACTION ALERT: Florida tegu and iguana listing. Read it HERE. 2/20/19: ACTION ALERT: New Mexico: Ban on sales of CITES 1 species. Read it HERE. 2/18/19: ACTION ALERT: Texas HB135 (Good bill! ): Read it HERE. 2/16/19: ACTION ALERT: California Animal Program Ban. Read it HERE. 2/14/19: ACTION ALERT: Illinois Animal Program Ban: Read it HERE. 2/13/19: Important Florida Stakeholder Meeting, NARBC Texas, and ALERTS. Read it HERE. 2/4/18: ACTION ALERT: New Hampshire SB161. Read it HERE. 1/31/19: ALERT Newsletter: State: AR, NH, RI, FL & Local: WI & NY + Federal Bill. Read it HERE. 1/31/19: ACTION ALERT: New Hampshire Overreaching Pet Animal Database. Read it HERE. 1/30/19: ALERT: Village of Gouverneur, NY Potential ban on ALL snakes. Read it HERE. 1/30/19: Arkansas UPDATE. Public meeting announced. Details HERE. 1/26/19: ACTION ALERT: Rhode Island Animal Program Ban. Read it HERE. 1/19/19: ACTION ALERT: Wausau, WI ban on all constrictor snakes. Click for details. 1/15/19: Florida 21-day comment period now open. Changes and comment link HERE. 1/10/19: Arkansas Update. Read it HERE. 1/2/19: Reptile Super Show and CarpetFest Fundraisers. Read it HERE. 11/28/18: Florida FWC Public Survey. Read it HERE. 11/12/18: Phoenix Reptile Expo, TTPG, and Croc Conservation, too! Read it HERE. 10/17/18: The reptile community steps up for Tell Hicks. Read it HERE. 10.9.18: Arkansas ALERT, Tell Hicks Fundraiser, NARBC Tinley, & Law Symposium. Read it HERE. 10.2.18: FWC Import Moratorium of Certain Species and online survey (Florida). Read more HERE. 9/23/18: ARKANSAS ALERT: AGFC Regulation Changes. Read it HERE. 9/27/18: Arkansas Alert and Sacramento Reptile Show. Read it HERE. 9/19/18: NARBC Texas and Arkansas Regulation Changes. Read it HERE. 9/18/18: Arkansas Proposed Captive Wildlife Changes. Read them HERE. 8/31/18: Arkansas Proposed Captive Wildlife Changes. Meeting on Sept. 5. Read the draft HERE. 8/16/18: Daytona time is here again! (plus a new herp book): Read it HERE. 8/10/18: Reptile Super Show (and more): Read it HERE. 7/31/18: Five Sri Lankan Tarantula Species Listed under ESA: Read it HERE. 7/28/18: Texas Turtle Regulation Changes and more. Read it HERE. 7/19/18: FWS Announces ESA Regulation Revisions: Read it HERE. 7/16/18: HR6362 and S3210, Invasive Species Bills. Read it HERE. 7/15/18: HR6362, Invasive Fish and Wildlife Prevention Act of 2018. Read it HERE. 7/13/18: Delta Cargo policy changes for live animal transportation. Read it HERE. 7/12/18: 2018 Herp Law Symposium registration is now open. All details at www.herpsymposium.com. 7/5/18: Reptile Super Show San Diego! Read it HERE. 6/17/18: ACTION ALERT: Arkansas (newsletter). Read it HERE. 6/16/18: ACTION ALERT: Arkansas Regulation Review. Read it HERE. 6/14/18: ALERT: Arkansas Wildlife Regulation Review: Read it HERE. 3/29/18: Florida FWC meeting, rattlesnake conservation, and more. Read it HERE. 3/27/18: FWC to address injurious species at April 25-26 meeting. More details HERE. 3/6/18: Illinois House Resolution 0887 admonishes the Humane Society of the United States for their misleading practices, including their disrespectful work culture and lack of commitment to supporting animals. Read it HERE. 2/15/18: NARBC Texas, ALERTS, and a Huge Thank You: Read it HERE. 1/2/18: ACTION ALERT Nevada and Reptile Super Show: Read it HERE. 11/16/17: Phoenix Reptile Expo has arrived! Read it HERE. 10/28/17: ACTION ALERT: Nevada. Read it HERE. 10/21/17: Happy Reptile Awareness Day! Read it HERE. 10/5/17: NARBC Tinley! Are you ready? Read it HERE. 9/28/17: Sac Reptile Show and Legislative Alerts (VA and NC: local): Read it HERE. 9/20/17: NARBC Arlington to Benefit Hurrican Harvey Relief: Read it HERE. 9/16/17: Member Alert: Herp Imports: Read it HERE. 8/22/17: NRBE recap: Read it HERE. 8/17/17: NRBE is back for year 28: Read it HERE. 8/10/17: Reptile Super Show Pomona: Read it HERE. 7/6/17: Reptile Super Show San Diego: Read it HERE. 6/2/17: ACTION ALERT HR2603: Support the Save our Endangered Species Act bill: Read it HERE. 5/28/17: Lawsuit Update, Responsible Herpetoculture, Shipping and More: Read it HERE. 5/21/17: Lawsuit Update: Read it HERE. 4/30/17: ACTION ALERT: Massachusetts animal program ban! Read it HERE. 4/10/17: Lawsuit Update: U.S. Court of Appeals says "We agree with ARK." Read it HERE. 4/7/17: Lawsuit update! U.S. Court of Appeals says USARK got it right! Read it HERE. 3/12/17: ACTION ALERTS in VA, MA and more. Read it HERE. 1/5/17: ACTION ALERTS and Reptile Super Show. Read it HERE. 12/30/16: ACTION ALERT: Washoe County, NV: Click HERE. 12/30/16: ACTION ALERT: Washoe County and newsletter: Click HERE. 11/23/16: ATTENTION wildlife importers/exporters: another FWS FoIA lawsuit (this time CBD): Details HERE. 11/1/16: ATTENTION wildlife importers/exporters: FWS FoIA lawsuit: Details HERE. 10/18/16: NARBC Tinley Recap and the Georgia Reptile Experience: Read it HERE. 10/13/16: NARBC Tinley! 'Nuff said: Read it HERE. 9/29/16: NARBC and Sacramento Recaps: Read it HERE. 9/20/16: NARBC and Sacramento: Read it HERE. 9/13/16: ACTION ALERT: Cambridge, Mass. and newsletter: Read it HERE. 9/1/16: ACTION ALERT: Cambridge, Mass: Read it HERE. 8.26.16: Maine and Florida updates, plus NRBE recap, HCI Auctions, and more. Read it HERE. 8.24.16: Maine and Florida updates: Read it HERE. 8.17.16: Daytona NRBE hits number 27: Read it HERE. 8.16.16: Reptile Super Show Pomona Recap: Read it HERE. 8.11.16: Reptile Super Show Pomona and more: Read it HERE. 7.27.16: ALERT: Federal invasive species bill: Read it HERE. 7.20.16: Florida Venomous Regulations and more: Read it HERE. 7.13.16: Reptile Super Show recap and more. Read it HERE. 7.8.16: San Diego Reptile Super Show and more: Read it HERE. ACTION ALERT: Washoe County, Nevada: Deadline to comment June 27. Click HERE! ACTION ALERT MAINE: Click HERE. Deadline to comment June 17! 6.14.16: Maine Action Alert and more: Read it HERE. ACTION ALERT: OREGON: Read it HERE. 5.12.16: USARK Salamander/Bsal article, CITES, Colorado Alert and more: Read it HERE. 5.7.16: Colorado Action Alert and Find-A-Vet from ARAV: Read it HERE. 4.3.16: Lawsuit Update: Read it HERE. 3.29.16: Lawsuit update and ACTION ALERT for Maine: Read it HERE. ACTION ALERT MAINE: Click HERE. 3.23.16: NARBC Tinley Park Recap: Read it HERE. 3.16.16: NARBC Tinley Park and Injurious Species Legalities: Read it HERE. ACTION ALERT: Oregon State: Click HERE. EXPIRED: ACTION ALERT: Salamander Injurious Listing: Click HERE. 3.7.16: Injurious Species Legalities and Salamander ACTION ALERT. Read it HERE. 2.20.16: Salamander Injurious Listing and Survey: Read it HERE. 1.30.16: RAACA Recap, IHS Jr. Herper Contest and more: Read it HERE. 1.16.16: Reptile Super Show Recap, RAACA Returns, ESA Listings and more: Read it HERE. 1.13.15: Salamander Injurious Listing: Read it HERE. 1.12.15: Lawsuit Update and Salamander Injurious Listing: Read it HERE. 12.2.15: Lawsuit Update: Initial Appellate Brief Filed: Read it HERE. 11.21.15: Salamander Bsal Updates and more: Read it HERE. 11.12.15: Phoenix Reptile Expo and ACTION ALERT: Clark County, NV: Read it HERE. 10.20.15: Lawsuit Update (new briefing schedule): Read it HERE. 11.11.15: ACTION ALERT: CLARK COUNTY, NV: Read it HERE. 10.30.15: Cat Ex Update: View it HERE. 10.16.15: NARBC Tinley Park Recap: Read it HERE. 10.7.15: NARBC Tinley Park is here: Read it HERE. 10.6.15: Black Pinesnake Listed Under ESA: Read it HERE. 10.3.15: Sacramento Show Recap and More: Read it HERE. ALERT: Wisconsin DWA bill hearing: Read it HERE. 9.23.15: Sac Reptile Show, Lawsuit Update, CITES, ESA and More: Read it HERE. 9.20.15: CITES, ESA, Upcoming Symposiums and more: Read it HERE. 9.17.15: NARBC Anaheim Recap: Read it HERE. 9.9.15: NARBC Anaheim and a Special Auction! : Read it HERE. 9.4.15: NARBC Arlington Recap and more: Read it HERE. 8.27.15: NARBC Arlington, Lawsuit Update, ALERTS and more! : Read it HERE. 8.26.15: Daytona Recap and ALERTS: Wisconsin and Clark County, NV: Read it HERE. 8.18.15: Daytona NRBE's 26th Anniversary and Clark County, NV Animal Code: Read it HERE. 8.12.15: Reptile Super show recaps and more: Read it HERE. 8.6.15: Reptile Super Show Pomona is here! Daytona, TTPG, Midwest Herp Symp., and more, too! Read it HERE. 7.17.15: Lawsuit Update: View it HERE. 7.16.15: Happy World Snake Day and Reptile Super Show SD: View it HERE. 7.13.15: Niles, Ohio: View it HERE. 7.6.15: Lawsuit Update and 31 Proposed ESA Listings: View it HERE. 6.26.15: HR 2920: Amendment to Lacey Act: View it HERE. 6.16.15: Salamander Data Needed, Bsal and Clark County Nevada: View it HERE. 6.15.15: Updates/Alerts: Lawsuit, Nevada and South Carolina: View it HERE. 6.9.15: Egyptian Tortoises and Washoe County ALERT: View it HERE. 6.8.15: Washoe County, Nevada ALERT: View it HERE. 6.1.15: Salamanders, Constrictor Injunction and Egyptian Tortoises: View it HERE. 5.19.15: Lawsuit Update: Preliminary injunction ruling: View it HERE. 5.19.15: Lawsuit Update: Recap of 5.18.15 Hearing: View it HERE. 5.16.15: Lawsuit Update and Wisconsin Local Ordinance ALERT: View it HERE. 5.15.15: Lawsuit Update, FAQ, Timeline and more. Important newsletter! Read it HERE. 5.12.15: Lawsuit Update: Court Rules in Favor of the Reptile Nation! Read it HERE. 5.5.15: The Constrictor Rule Newsletter: Read it HERE. 4.29.15: Lawsuit Update: Read it HERE. ACTION ALERT: MAINE: Read it HERE. 4.23.15: Maine Action Alert and Where is Your Vet? : Read it HERE. 4.21.15: Lawsuit Update and RAACA Anytime Auctions: Read it HERE. 4.9.15: Lawsuit update and North Carolina DWA bill: Read it HERE. ACTION ALERT: NEVADA: Read it HERE. 4.3.15: Lawsuit Update: Read it HERE. 4.1.15: Lawsuit Update: Read it HERE. 3.23.15: Lawsuit Update: Read it HERE. 3.18.15: NARBC Tinley recap and 230+ RAACA Auctions: Read it HERE. 3.17.15: Win in West Virginia: Read it HERE. 3.12.15: Lawsuit Update, NARBC, RAACA, Black Pine snakes and more: Read it HERE. 3.6.15: Constrictor Rule Finalized: Read it HERE. West Virginia: ACT NOW HERE. 2.11.15: NARBC Recap, OKC Elite, NY Bill and more: Read it HERE. 2.5.15: NARBC Arlington, FREE Trips to IHS, SnakeDays Grant and more: Read it HERE. 2.4.15: USARK in D.C. and Many State Issues/Updates: Read it HERE. 1.20.15: ACTION ALERTS: WV and TX; Indiana Bill and more: Read it HERE. 1.13.14: Reptile Super Show Recap, TTPG/USARK: Read it HERE. 12.19.14: The Reptile Nation Wins in Florida, FWC Workshops and Terrapins: Read it HERE. 12.12.14: Arizona and Wisconsin Updates: Read it HERE. 12.11.12: Proposed Salamander Temporary Import Ban: Read it HERE. 12.6.14: UPDATE: Dunedin, Florida and Federal Lawsuit. Read it HERE. 12.5.14: UPDATE: Black Pine snakes. Read it Here. 12.2.14: Action Alert Dunedin, Florida. Read it HERE. 12.1.14: Action Alert Wisconsin: Read it HERE. 11.20.14: TTPG and Phoenix Expo Recaps: Read it HERE. 11.19.14: USARK Hammers Away in West Virginia! Read it HERE. 11.13.14: Is West Virginia Government Incompetent, Corrupt, or Both? Read it HERE. 11.6.14: USARK Report (VIDEO), Goss Teaches Vet Students and More: Read it HERE. 11.2.14: Black Pine Snakes ESA and Freshwater Turtles CITES III: Read it HERE. 11.1.14: WV Update and USARK Keynote Speaker at Vet Conference: Read it HERE. 10.24.14: Black Pine Snakes, FWC Workshops & Iguana Conservation. Read it HERE. PRESS RELEASE: WV DWA Board Violates Due Process! Read it HERE. 10.7.14: FL Regs., Black Pine Snakes and more. Read it HERE. 10.1.14: NARBC Arlington and Sacramento Recaps. Read it HERE. 9.10.14: Pyxis Tortoise Update, NARBC Anaheim/White Plains Recaps and more. Read it HERE. 9.4.14: USARK Show Announcements: Read it HERE. 9.3.14: Animal Rights and American Bar Association Committee DWA Resolution: Read it HERE. 9.2.14: USARK's Mission and Commitment to the Reptile Nation: Read it HERE. 8.24.14: Daytona NRBE Recap and more: Read it HERE. 8.23.14: Reptile Super Show Pomona and Reptile Bowl-A-Rama recaps and more: Read it HERE. 8.13.14: Pyxis Tortoise Action Alert, Daytona NRBE, and more: Read it HERE. 8.4.14: Lawsuit and WV Updates, Reptile Super Show, Daytona and more: Read it HERE. ALERT: West Virginia Dagerous Wild Animals Act: Deadline August 1: Take Action HERE. 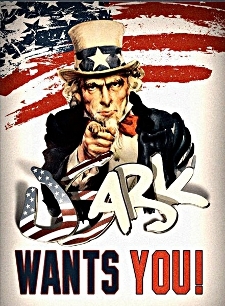 7.27.14: USARK Newsletter: Read it HERE. ALERT: Constrictor Rule-Deadline July 24: Take action HERE. 7.2.14: HSUS Publicly Lies About Snakes: View the post HERE. 6.30.14: Constrictor Rule Information Request: View the post HERE. 6.26.14: ACTION NEEDED: Constrictor Rule Update: View the post HERE. 6.24.14: Lawsuit and Constrictor Rule Updates: View the post HERE. 6.23.14: Constrictor Rule Update: View the post HERE. 6.6.14: Lawsuit/State Updates and Loads More: View the post HERE. 5.10.14: Lawsuit Update: View the post HERE. 5.8.14: Alerts in Illinois and more: View the post HERE. 4.27.14: Lawsuit Update, Illinois Bill, Salmonella and more: View the post HERE. 4.23.14: An investigation of salmonella infections linked to Bearded dragons has been announced by the CDC (Centers for Disease Control and Prevention). We will provide additional information as it becomes available and we are engaged with this issue. More information HERE. 3.19.14: Lawsuit Update: View the post HERE. 3.18.14: NARBC Recap: View the post HERE. 3/12/14: D.C. Law Symposium and NARBC Tinley Park: View the post HERE. 3/10/14: Lawsuit Update and more: View the post HERE. 3/4/14: West Virginia ACTION ALERT and UPDATE with more ALERTS: View the post HERE. 3/2/14: Louisiana ACTION ALERT & SC, WV, WI Alerts: View the post HERE. 3/1/14: ACTION ALERTS for WV, LA, SC, WI and more: View the post HERE. 2/25/14: Lawsuite Update, WV Action Alert and more: View the post HERE. 2/23/14: NRAAC Law Symposium, Lawsuit Updates and Action Alerts: View the post HERE. 2/18/14: NARBC Recap and Action Alerts: View the post HERE. 2/14/14: Cat Ex, ACTION ALERTS and Legislative Updates: View the post HERE. ACTION ALERTS and Legislative Updates (2/10/14): View the post HERE. Legislative Alerts and Updates: Local, State and Federal: View the post from 1/28/14 HERE. Tarantula and Exotic Pet Keepers: Comments needed to USFWS with 2/3/14 deadline. View the post HERE. Cat Ex Alert and Update from 1/23/14. View the post HERE. WV, NY and WA Legislative Alerts from 1/20/14. View the post HERE. USARK Blog from 1/9/14. View the post HERE. USARK Updates and Acknowledgements from 12/31/13. View the post HERE. Blog: Recap of NRBE Daytona Beach with thank yous concerning auction donations and volunteers. Much more can be found HERE. Blog: Recap of NARBC Arlington and Reptile Super show Pomona with recognition of auction donations and voluteers. View the post HERE. ACTION ALERTS: There are two issues demanding immediate action. The first alert addresses a USFWS proposal to list any species as injurious without full due process afforded under the law (i.e. no scientific support, no research, no economic impact study, etc.). This categorical exclusion affects a huge portion of the pet community (reptiles, amphibians, fish, birds, mammals). Any species listed will vanish from the pet community. The second alert concerns a push by anti-pet groups to add 5 species of snakes (including all boa constrictors and reticulated pythons) as injurious, which would make interstate commerce, interstate transportation and importation all illegal. Anti-pet groups want no pets. Big snakes are just their first target. Support the entire herp community and stop them now! Share these alerts with all pet owners. All information can be found at the links below. The time to act is now, Reptile Nation! Action Alert 1: http://usark.org/action-alert/usfws-categorical-exclusion-2/ Action Alert 2: http://usark.org/press-releases/action-alert-no-to-adding-species-as-injurious/ There will be an extension to the comment period concerning the categorical exclusion proposal. New deadline will be September 30th or shortly thereafter. More details will be given soon. Keep sharing both Action Alerts and making your voices heard! Read the latest USARK email and updates HERE. Herpers work with city officials to lift overreaching restrictions on snakes in West Fargo, North Dakota. Read an update HERE. Thomas Cobb found that a city ordinance may limit him to only one pet boa constrictor, though he has 29 that receive the highest standard of care. This was unacceptable to Thomas and he was able to obtain permits for all 29 boas. Thomas has done a remarkable job representing the herp community while protecting his lifelong passion. Read more HERE. Update: Scott Snowden faced new legislation that would have made his pets illegal. A city ordinance was proposed concerning dogs and had language attached that would have banned all constricting snakes. Scott stepped up, addressed the issue and was successful by educating the city officials. Read an update about his success HERE. Press Release: All Witnesses in Agreement that ESA Needs Improvement - Witnesses who testified before the Committee touted the success of state, local, and tribal conservation efforts and underscored the need for meaningful ESA reform. Read the full release HERE. April 2013 Recap: Read the latest USARK newsletter reviewing all our work in April including another trip to D.C., the California "swap meet" bill and herp community networking. Read the press release HERE. California AB 339: The "swap meet" bill has been amended to exclude reptile and aquatic trade shows. The bill has been amended in Assembly, read a second time and re-referred to Committee on Appropriations. Thanks to your voices through USARK's action alerts and collaboration between PIJAC and USARK, reptile and aquatic shows will now be safe. Thanks for your support and action! Connecticut HB 5832 Update: April 3rd is the JF Deadline (the date by which each committee must report out bills or resolutions for further consideration by other committees or the full General Assembly). The bill will be "dead" tonight. This bill would have banned boa constrictors and Burmese pythons in Connecticut. Thanks to everyone who used the USARK Action Alert to voice their opinions. Nevada Action Alert: Hearing March 28! Please read the entire alert. Follow this link (CLICK HERE) and send your emails. Be sure to share this with others. It is very important to send your emails and share this webpage with Nevada residents. USARK appreciates your support! ShipYourReptiles.com now offers a convenient donation option to support USARK and PIJAC. USARK greatly appreciates this new program from ShipYourReptiles.com! Read more HERE! Follow this link (CLICK HERE) and send your emails in 30 seconds. Be sure to share this with others. It is very important to send your emails and share this webpage with California residents. USARK appreciates your support! via Turtle Survival Alliance: It is with a deep sense of loss that we report the untimely passing of Greg Fleming, DVM of Disney's Animal Kingdom. Greg died in Mozambique, after apparently suffering a stroke that led to cardiac arrest. The zoo and turtle community are stunned this morning over this tragic news and Greg’s death leaves a hole in our ranks that will be impossible to fill. Greg had a huge personality, a sarcastic wit, a sharp intellect and was always surrounded by laughter. Aside from being a good clinician, Greg was an accomplished turtle breeder, managing one of the few successful breeding groups of Sulawesi Forest Turtles in the US. He was a former member of the TSA Steering Committee and a frequent fixture at TSA conferences. In fact we were just recently on conference call with Greg and he had planned to join a team of vets at the Turtle Survival Center in early April for the first wave of incoming turtles. Over the years Greg contributed valuable time and resources to the TSA, helping to treat and rehabilitate countless turtles and tortoises that had been placed in our care by USFWS. Please join us in extending our condolences to Greg’s family in Calgary and the entire Disney team for their loss. Decisions are still being made regarding services, where cards may be sent, and what special cause Greg’s family recommends in lieu of flowers. As soon as the Disney family has more details, they will share them. USARK sends support and condolences to Dr. Fleming's family, friends and colleagues. This article updates that Blanding’s turtles, spotted turtles and diamondback terrapins have been added by CITES as Appendix II animals. "For species included on this list, international trade is regulated by a system in which permits are issued only when trade has been determined to be non-detrimental to species survival. CITES-listed species are also subject to mandatory reporting requirements." Click HERE for full article. Click HERE to read an informative article from the Washington Times concerning potential flaws with the current Endangered Species Act process. The article cites flaws with using the "best available research" which may not be adequate or accurate. It also mentions a proposed bill that may ban the use of taxpayer dollars to fund lawsuits, and also give state and county governments the opportunity to block settlements. Read more HERE. CITES (Convention of International Trade in Endangered Species) is meeting in Bangkok, Thailand March 3-14, 2013. Several species of reptiles, amphibians and insects are being proposed for addition, exclusion or movement to Appendices I and II. NOTE: Spotted turtle, Blanding’s turtle and Diamondback Terrapins being considered for addition to Appendix II. More details can be found HERE. USARK President, Phil Goss, answers a few questions for Reptile Times. Goss discusses USARK's fight for the entire industry, uniting the herp community, the importance of reptile education to the masses, monkey-tailed skinks, boas and more. The full article can be found HERE. Follow this link (CLICK HERE) and send your emails in 30 seconds. Be sure to share this with others. It is very important to send your emails and share this webpage with Montana residents. USARK appreciates your support! USARK's new President visits Washington D.C.
USARK President, Phil Goss, visited Washington D.C. last week. Goss had several meetings on Capitol Hill. Not only did Goss address Capitol Hill, he also collaborated with Kelley Drye and Warren LLP, USARK’s Washington-based legal experts, to finalize USARK’s legal strategy. Kelley Drye is the foremost authority regarding reptile and animal law and is the most influential lobbying firm concerning reptile legislation.Click HERE or the photo to the left to see the full story. World-renowned snake breeder Rico Walder was diagnosed with brain cancer. His close friends and family have set up this fund in order to help ease the financial burden during his time of need. Please help support one of the herp community’s finest members and help him get back on his feet. Any and all donations are appreciated! Thank you! Click HERE or the pic to the left to visit the Rico Relief Effort page. Thank you for you time and consideration. Follow this link (CLICK HERE) and send your emails in 30 seconds. Be sure to share this with others. It is very important to share this webpage with West Virginia residents. USARK appreciates your support! Follow this link (CLICK HERE) and send your emails in 30 seconds. Be sure to share this with others. It is very important to share this webpage with Connecticut residents. USARK appreciates your support! Follow this link (CLICK HERE) and send your emails in 30 seconds. Be sure to share this with others. It is very important to share this webpage with New York residents. USARK appreciates your support!